I am an unapologetic Instagram addict. I post a couple times a day, but mostly I love looking at other people's fabulous pictures. Scrolling through the day's images is usually the last thing I do before I turn out the light at night (I know - Terrible! But I sleep just fine.). And when the going gets rough, I go to Instagram. 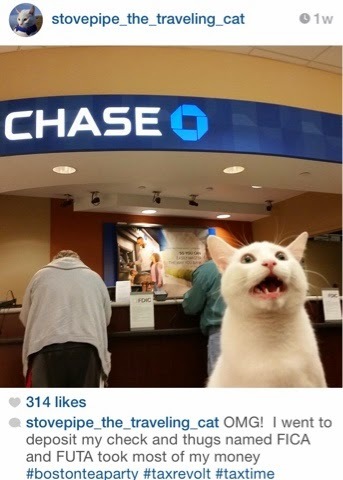 The photos in my feed are inspiring, funny, touching, and just plain beautiful. Every now and then, I whip my phone around and show my wife something that I loved, and she'll ask, "Who is that?" I tell her I have no idea, or that it's one of my favorite bloggers, or that it's just someone who takes awesome pictures and shares them with all of us. 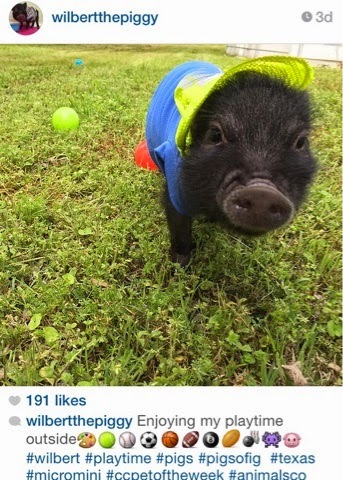 Animal pictures are my favorite, and I've compiled a list here of some of the best ones. 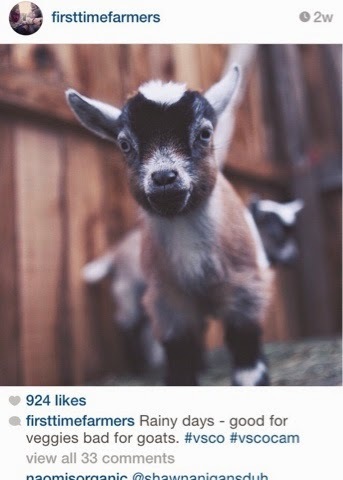 Add these to your Instagram feed, and they're sure to brighten your day. Very Fat Rabbit was adopted off Craigslist, and I'm shocked by how friendly this little furball is after what seemed like a not-so-great initial home. 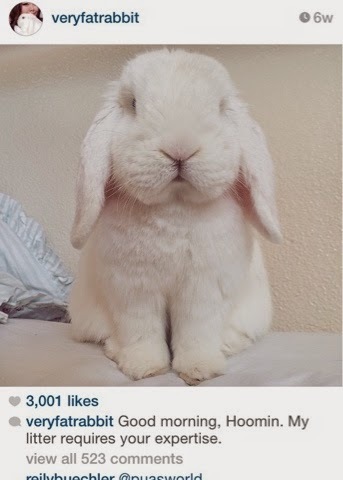 Bonus points for awesome videos of him eating, running, hopping, and generally being bunnyish. Rachel and Scott left city living to try their hands at farming, and their photos of the process - especially the adorable fluffy parts - are enough to make you start cruising through the farmland section of your local real estate listings. This precious kitten gives Grumpy Cat a run for his money. Every time I see that sweet, sad face, I want to reach through the phone and snuggle him up. I love watching this tiny guy from Texas romp around. And look so dapper doing it. 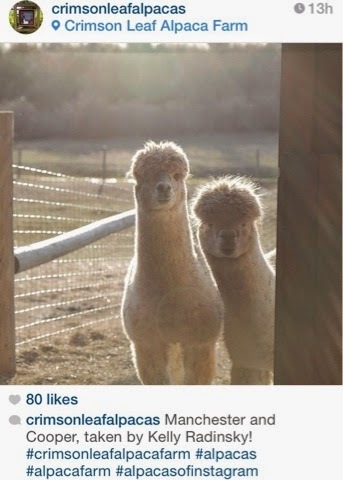 These New Jersey alpacas are the most expressive guys around. They smile and wink and glare, and it's all fabulous. 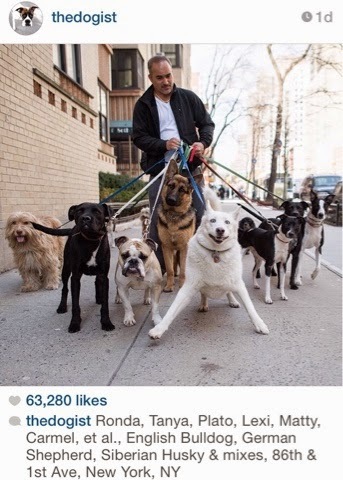 Think Humans of New York, but for dogs. 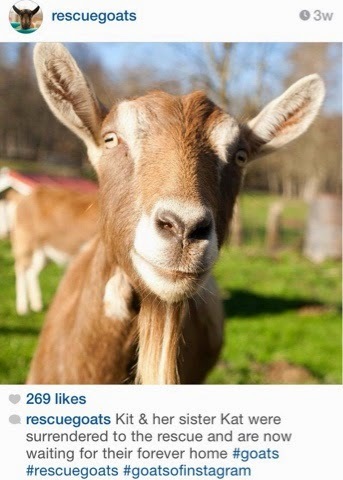 The feed for the Puget Sound Goat Rescue in Washington State will make you want to rush out there and adopt one of these sweet and hysterical farm animals (or is that just me?). Oh, Stovepipe. 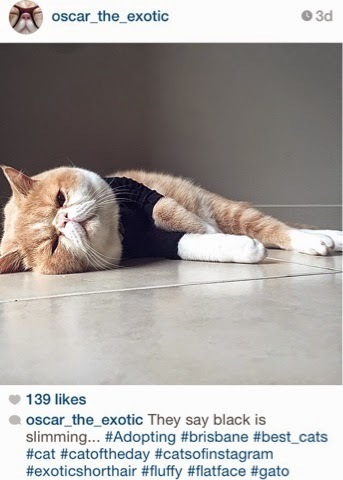 This rescue kitty travels around the country advertising his fancy cat litter and advocating for rescue animals. He's cosmopolitan and a riot. Taco, Bella, and Nacho. Three Chihuahuas. 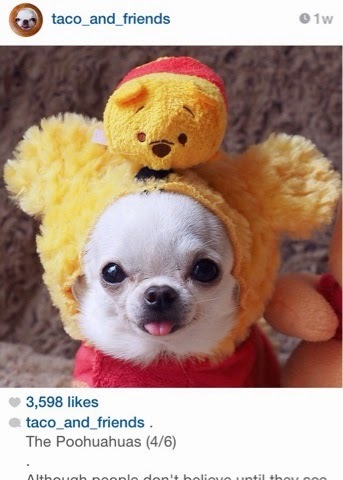 One adorable feed. 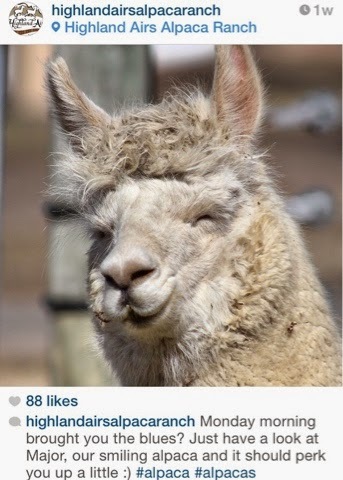 Because who doesn't want more pictures of alpacas? 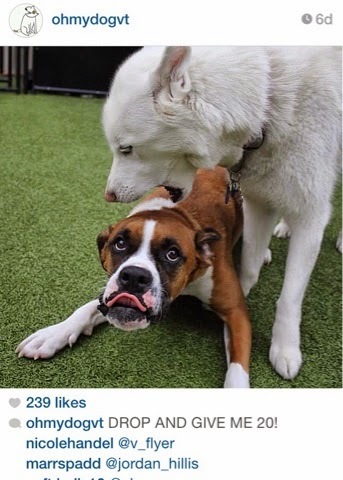 I don't know who writes the captions for these photos from a daycare and boarding facility in South Burlington, Vermont. But they crack me up. 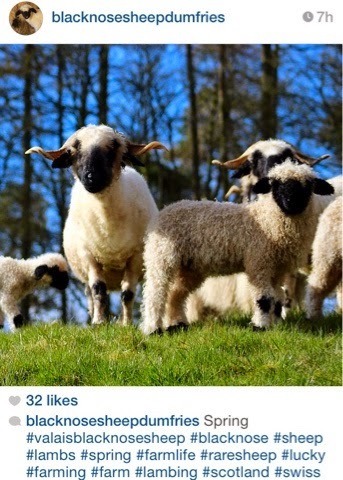 Adorable Scottish lambs? Yes please. 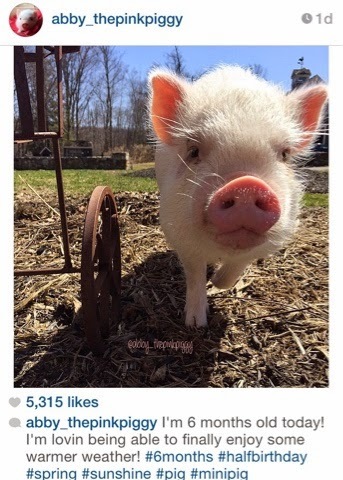 This sweet girl from Connecticut was the first mini pig I followed. And she's still the cutest. p.s. My dog's twitter account.